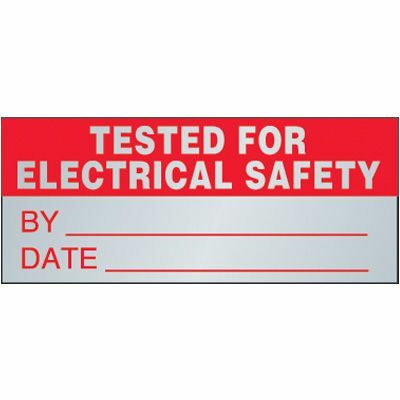 Wording: TESTED FOR ELECTRICAL SAFETY BY DATE. Labels can easily be written on with a pen, pencil or typewriter. Permanent adhesive backing sticks to any clean, dry, smooth surface, indoors or out.